Many restaurant franchises know that they need security cameras, but when it comes time to implementing a system, they rely on budget equipment to install in each franchise, thinking that having cameras is better than not having cameras at all. When you purchase a bargain basement, pre-boxed camera system, the equipment inside generally suffers. While on the surface, the specifications may show the same resolutions, the equipment fails to deliver because the bit rates, quality, processing capabilities and general quality of the equipment are not reflected in the specifications. This means that when it comes to using the video, you find that the quality of the video stream, frame rate of the recording or ability to properly backup video may be hampered. Now the ‘savings’ of purchasing these systems in the first place has instead just become an expense with no added benefit. Pre-boxed systems usually come straight-off-the-boat from China, with a manual written by someone who has no concept of the English language. This means that you or your manager will be muddling through menu after menu of poorly translated screens to try to locate settings, then hope that what you did was correct. 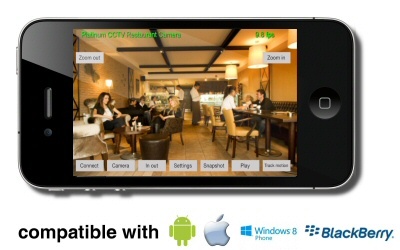 Many of the systems on the market now advertise “remote access” to video from iPhone or Android. 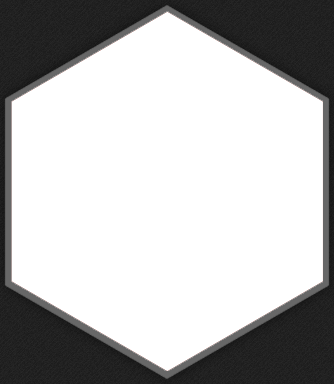 However, when you go to connect, the video is choppy or even worse so poor quality that it is difficult to tell what is even happening on the screen. This is the mark of a system that has just added these features without increasing processing capabilities on their recorders. If you purchased a vehicle for $50, how long would you expect that vehicle to last you without needing heavy repairs? Probably not that long. The same holds true with security camera systems, the materials used to produce a camera system for the insanely low rates that some systems advertise means that many corners were cut in the process. In restaurant terms, I wouldn’t order a ribeye steak for $2. I know that the raw meat alone would cost more than that, so there is no way that I would get something for $2 that I would really want to eat (or maybe be able to palate at all). Pre-boxed systems are a fixed-architecture, they will only function with the number of cameras they come with. This means that there is no future expansion without throwing out the whole system and starting over. So when you find that you don’t have needed coverage in certain areas, or expand the size or layout of the location, you are starting over with new equipment each time, which also means a new interface to learn and adapt. Even though this is last on this list, I actually saved the most compelling problem for last so that it would be fresh on your mind. Security of your credit card data is most important. So what does that have to do with security cameras? EVERYTHING. Pre-boxed camera systems with internet access, and remote accessible IP Cameras fall into the category of the IoT (Internet of Things). These devices have internet access through your network, and unfortunately provide security intrusion points for hackers to get into your network, not only to view or disrupt your cameras, but onto your main network where they may be able to skim credit card information and much more. IoT attacks have even been traced back to shutting down certain sections of the internet, because once compromised, these systems and cameras can be reprogrammed to do the bidding of a hacker. The proper solution to all of the problems listed above, is proper thoughtful design and planning, to ensure that you will install a system that will suit your needs not only for right now, but for the foreseeable future. 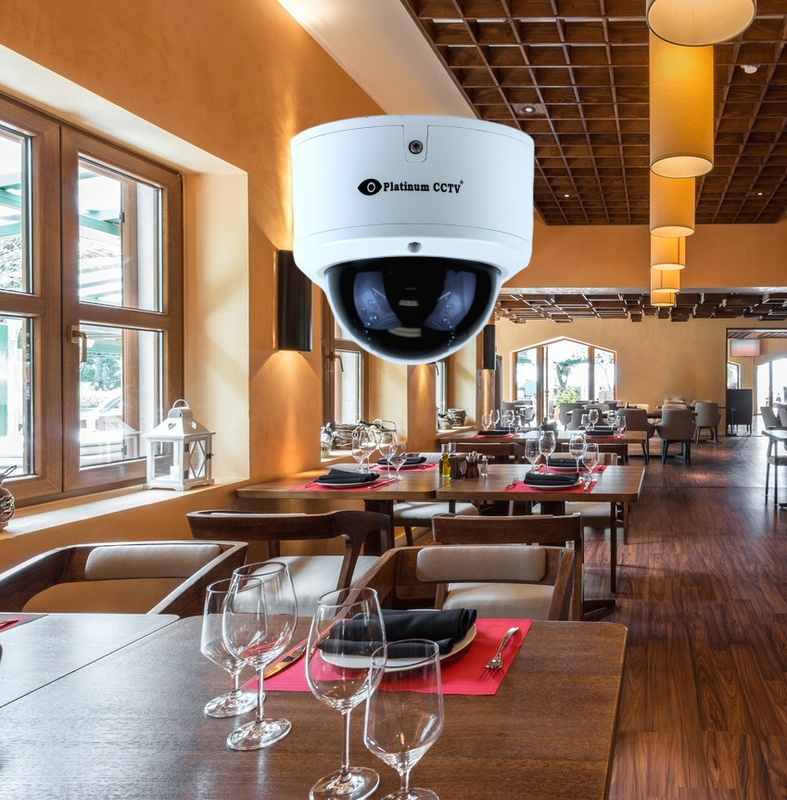 Below we take a look at how our restaurant security camera systems with AVM solve all of the problems posed by inferior systems. Each system we design takes into account all of the uses for your system, to ensure no matter what you will be able to have video coverage when you need it most. 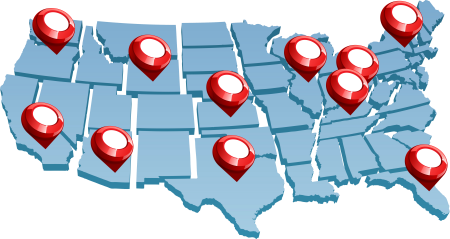 Our AVM systems deliver the quality, durability, features and access you need to properly monitor all of your franchise locations. 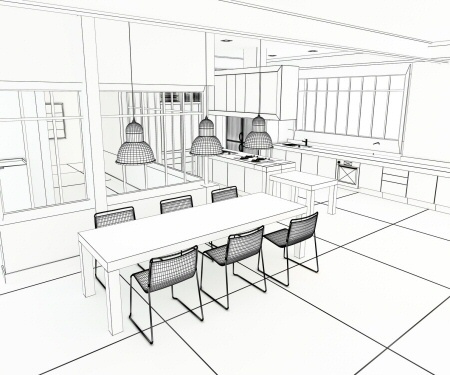 Each AVM restaurant system is designed not only to handle the number of cameras you order, but also to handle processing for twice as many cameras, this means that your system will be able to not only function as intended, but do so with ease. Each of our systems comes with live training on how to use the system, from selection of cameras, to playback and even remote access. Our technicians perform this training live over the phone while you are watching on your screen, and allow you to control the speed and content of the training so that we are meeting your needs. Then, because we know that with something new, you may need a refresher at your own speed, we include walk-through videos that are fully narrated and broken up into bite-size segments, allowing you to review the information at any time. Finally, our tech support agents are available via phone or online chat at any time, to assist you if you have difficulty with your system. Our AVM system was designed with secure remote access in mind, allowing you to see the full quality of your cameras and nice smooth video, even with lower internet speeds. We even have some customers watching cameras over dial-up (though we don’t recommend it). Our Remote access will allow you not only to view the store of your choice, but also to view all of your stores together if desired. True integration of the franchise locations can help you manage your growing empire with ease. Information is the true currency when it comes to business, and swift access to your cameras video feeds delivers swift and accurate info about everything that is happening. Each of our AVM systems is designed with highly durable, good quality components and hand selected for the application for your system. This is why we don’t pre-box systems. Cameras are IP67 sealed (or better) for not only water resistance, but full submersion of a camera (you cannot be too careful), our recorders employ name-brand high quality components from Intel, Gigabyte, Seagate, and Western Digital to ensure not only the best speed, but also the best durability. 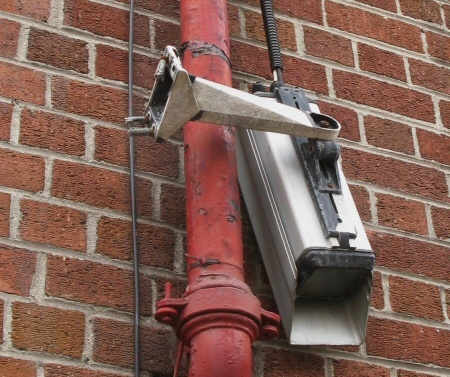 Many of our clients are still using their original security camera hardware from 15 years ago. Our systems are designed around security! IP Cameras are kept to an isolated network so they never touch the outside internet directly, but only communicate with the recorder instead. Our recorders are designed to be compatible with your secure VPN (Virtual Private Networks) allowing encrypted access to your camera feeds from your devices. Each recorder is a full Windows PC, with the ability to update as security needs change (as they frequently do). That is just the security of your network…our system is also highly secure, allowing you to create independent user accounts at each location, with access to just specified cameras or resources. Our AVM can then even be configured to let you know whenever someone tries and fails to access the security camera feeds, giving you an early warning that someone is even attempting to get in. From design to hardware, we have your security well in hand. The intent in having a camera system for your franchise locations is often to allow you to standardize and monitor the locations to ensure that your brand’s mission and vision are being followed and that the quality of your pilot stores will be mirrored throughout the country or world. In order to accomplish this, you must have reliable remote access to each of your franchise locations, with a quality software to deliver the video streams. Store-bought systems change interfaces sometimes several times a year, meaning that unless you purchase all of the systems at the exact same time, from the exact same run of product, the interface for remotely accessing them will be completely different. Most of these systems also will not allow you to view all of your locations at the same time. Our AVM system is designed with franchise access in mind, allowing you to connect to all locations both from your phone and from your PC/Mac. This is just one difference that you enjoy with our enterprise grade AVM system. 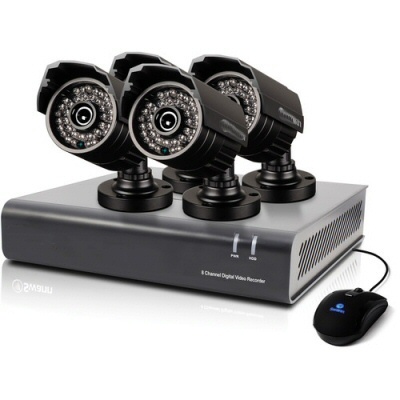 Our AVM (Advanced Video Management) systems are designed with whole-franchise security in mind. From the ground up, they are programmed with enterprise-grade remote access that allows you to combine all of your locations into a single remote access, allowing you to keep track of everything from anywhere. Connect to every location in your corporation instantly. Sometimes, it doesn't matter how many pictures, graphs or videos you examine, the only way to really see how well a product will work for you is to actually test it. We are so certain that our AVM system is the best choice for you, that for multi-location franchises, we offer a FREE TEST DRIVE of our AVM system on your site. Just plug your cameras into our server, and we will help you get it set up so you can try it free for 30 days with full technical support and assistance. We will even pay the shipping if you decide for any reason that it isn't for you. Start taking your security seriously for your restaurant franchise with our AVM (Advanced Video Management) system. Let us show you what your security means to us, both physically and digitally. Contact us to start your FREE TEST DRIVE today.